Herbalism is one of the cornerstones of magical work, and The Weiser Concise Guide to Herbal Magick presents this vast subject in an accessible, practical manner. While it includes those plants classically associated with magick, such as mugwort, mandrake, and nightshade, it also provides lore and usage of more common plants, such as olive, coconut, tiger lily, orchids, and palms. Other herbs include heliotrope, lotus, mallow, nettle, oak, yew, and willow. This groundbreaking book offers a broad overview of the art of herbalism, along with specific practical instruction in using herbs in magick. It also provides a thorough overview of the historical relationship between herbs and the practice of magick. This uniquely helpful guide supplies the novice with a solid foundation of herbal magick knowledge and history, and more experienced practitioners will benefit from the author's unique and erudite perspective and skill. 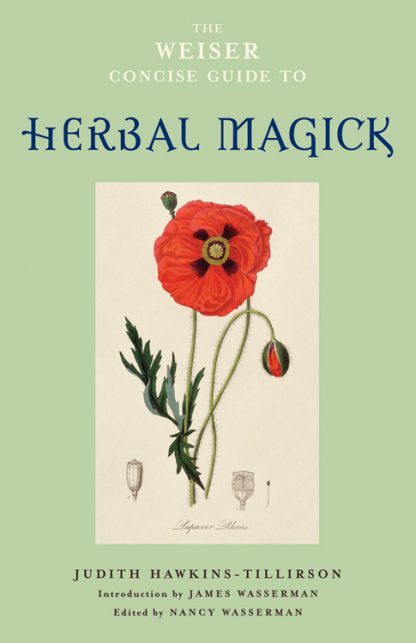 No other herbal magick book offers this level of information in such a concise form. As Mandrake is thought to have grown originally in the red earth of Paradise, it was eagerly sought by the Alchemist precisely because it contained some of this unique kind of earth, which was so necessary as a catalyst in the production of the Philosopher's Stone. * An essential handbook for using herbs in powerful, magical rituals, written by a veteran practitioner of the occult. * Includes practical instruction on incorporating herbs and plants into your spell work and ceremonial ritual work as well as your daily life. Judith Hawkins-Tillirson's life has centered on the arcane arts for the past 40 years. A student of tarot and Qabalah, she was also a professional astrologer. She has been a member of a Traditional European Witchcraft Coven since the late 1970s and has kept a magical herb garden for several decades. Judith now practices her herbal craft in Northwest Georgia with her husband and seven cats.